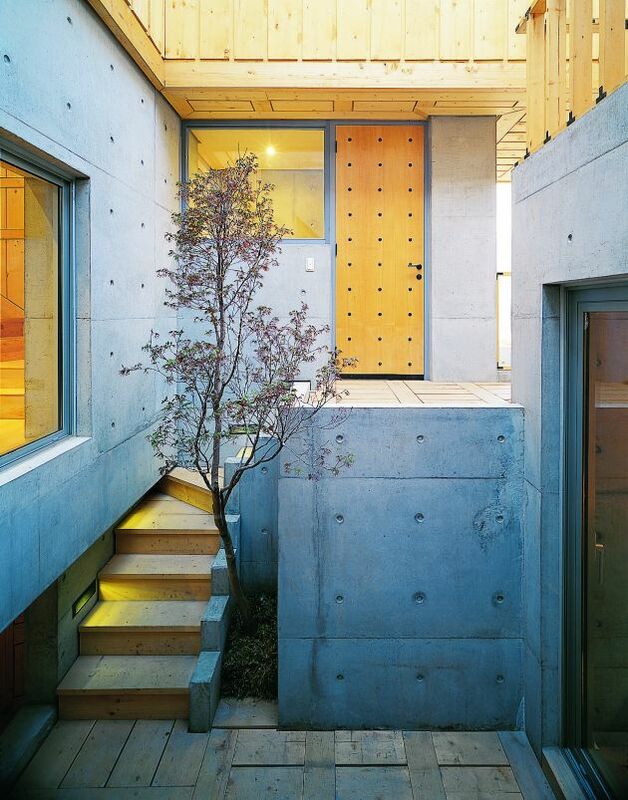 Korean architects IROJE KHM have designed the Lim Geo Dang house in Goyang, Korea. 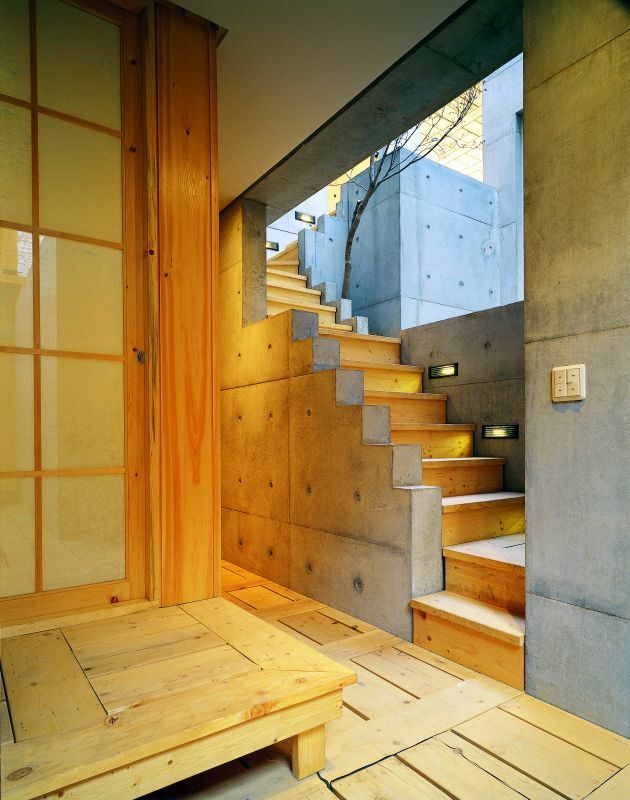 The residential complex in Ilsan new town contains the context of urban design that wishes to be my house/neighborhood and be our village as a concept of village where live together. 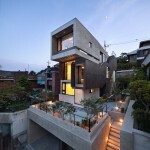 A house becoming to the city, so it gain a life by taking root the architecture in the city. 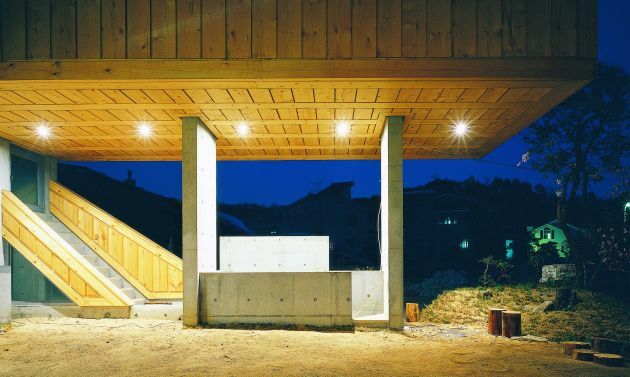 By opening the architecture towards the city, it forms a village that owned in common each other, but on the contrary, it should satisfy the function as a private space of oneself. 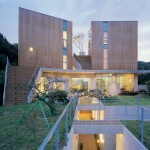 It is hard to secure enough outside space in the site area of 70pyeong with the general program of house. 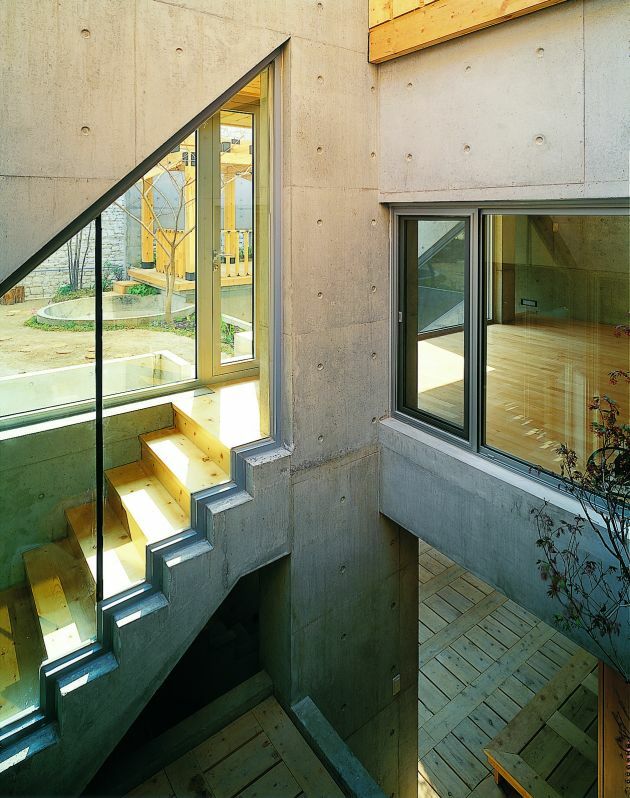 In this case, the outer wall of first floor and the road come into close contact. 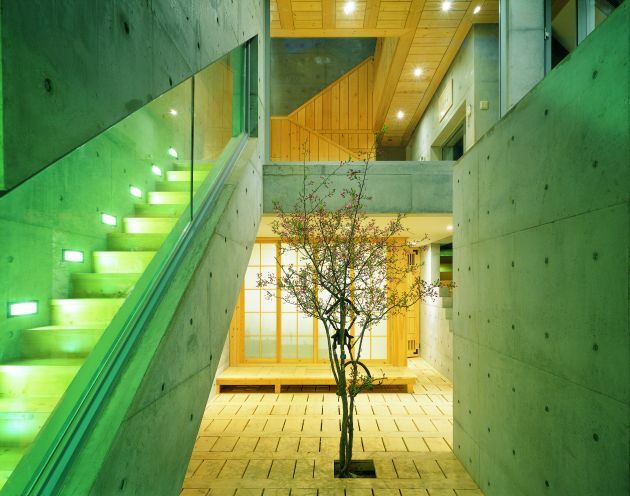 That is, the house becomes like closed and introvert character, so the city and the house exist separately. 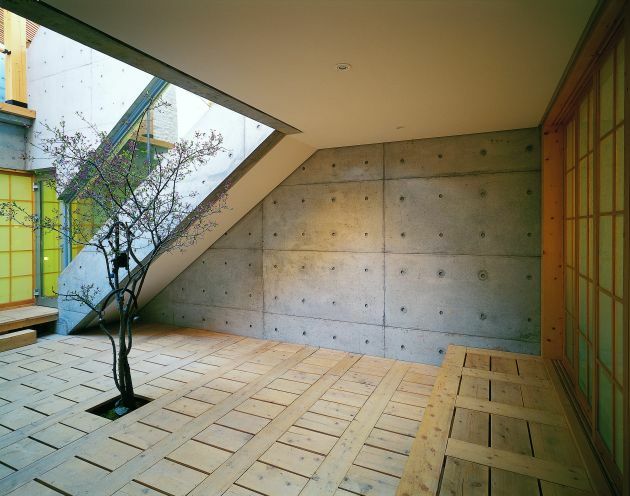 In addition, spare outside space is incorporated into the road space at that. 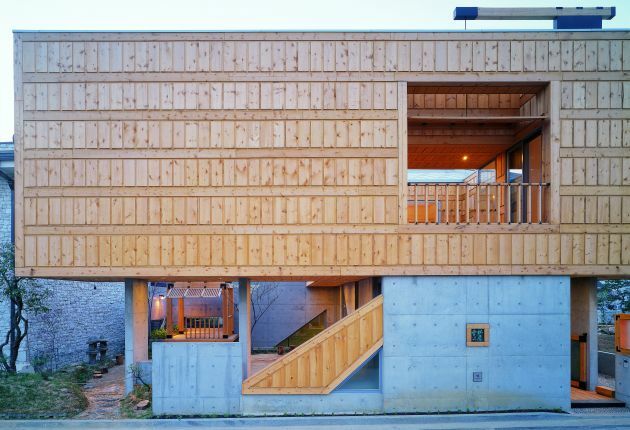 With this, a garden as a buffer for the connection of city and city, a garden as a vertical connection for the friendship with the neighborhood, a garden as a nature to make the life plentiful are required. 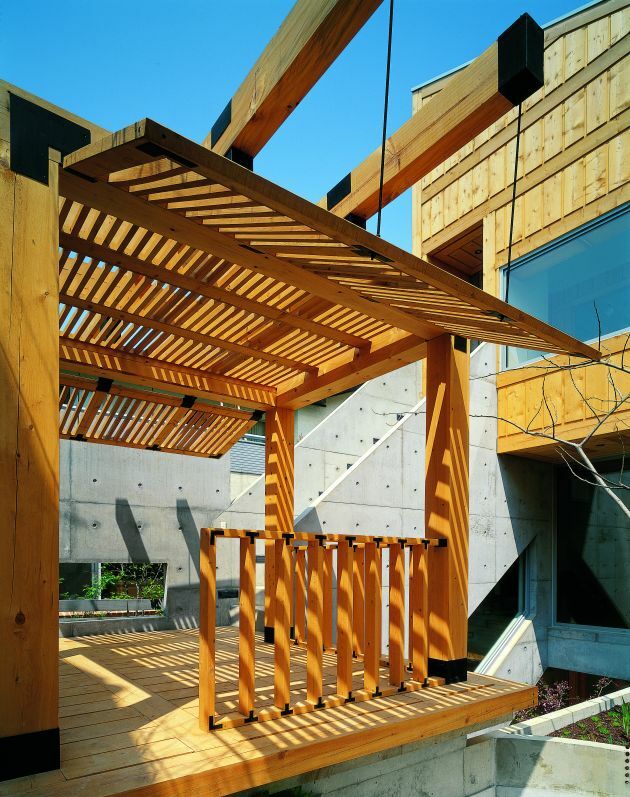 The garden area is maximized by apply garret program which was seen in the ‘Hak Ik Jae’ that arrange minimum rooms on the ground floor and other rooms arrange on the upper part or under the ground to form a horizontal system. Moreover, overlapping of up and lower side for area is intended by setting vertical displacement with different level mutually. 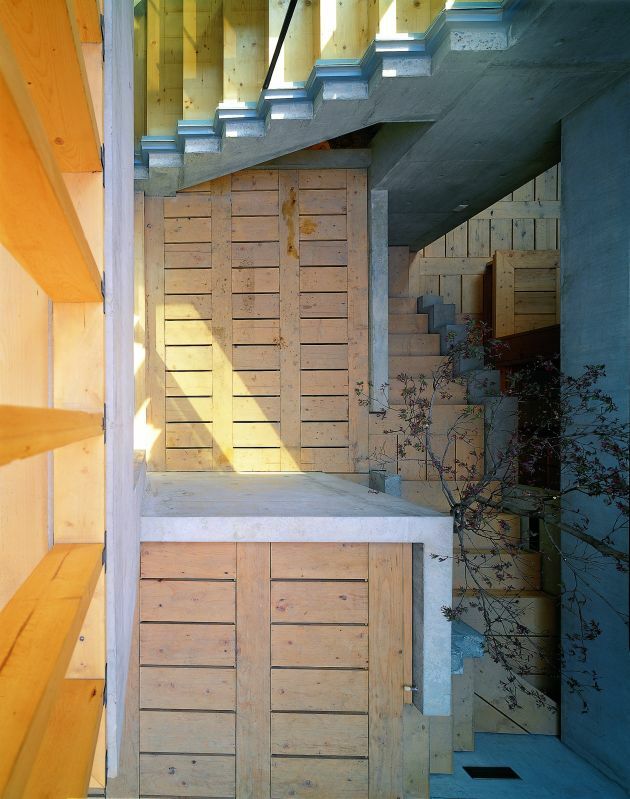 This vertical system obtains maximum area and shows the variety and continuity of the space. 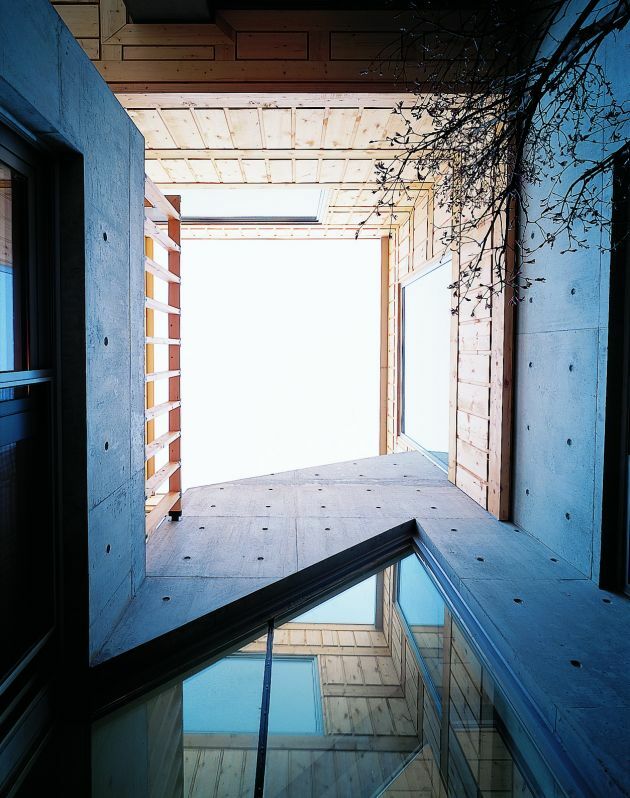 The piloti on the first floor opens the site to the road and connects the city and the architecture. 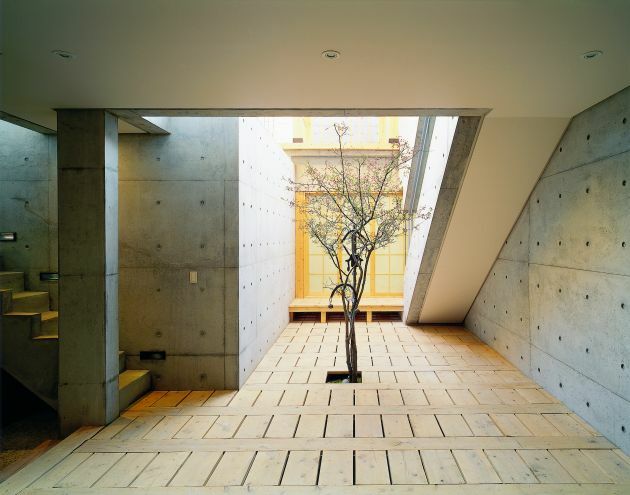 It also divides the road and site with spatial boundary and surrounds the courtyard at the same time. 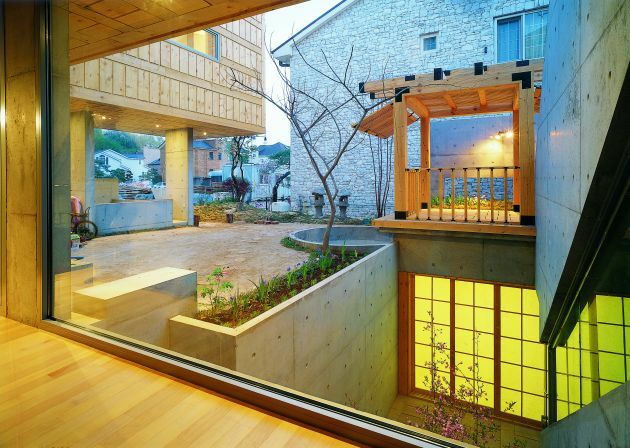 The courtyard becomes a public outside space where held in common visually with the roadside and is penetrated with inside of the house through the transparent glass. 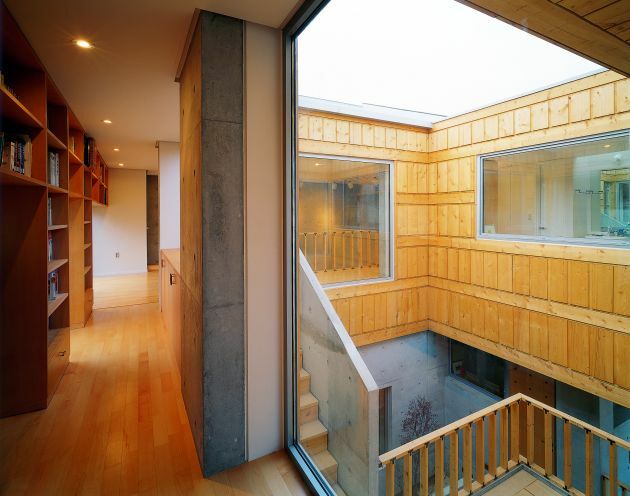 By varying the direction facing the road, it functions as a private space of resident at the same time. Unintended traditional drama of the artless space, where weaves unsymmetrically by repeating and becoming a frame pictorially with the continuity that seems unlimitedly, becomes a root of Lim Geo Dang’s spatial story. I introduced a garden as a nature, because I thought the modern house is a refuge and a resting place for us who are worn out by the dehumanized daily life. And I thought it should be architecture as a ‘nature’ moreover an environment which contains various living offers vitality to the life. Every garden is connected with the ‘passage’. 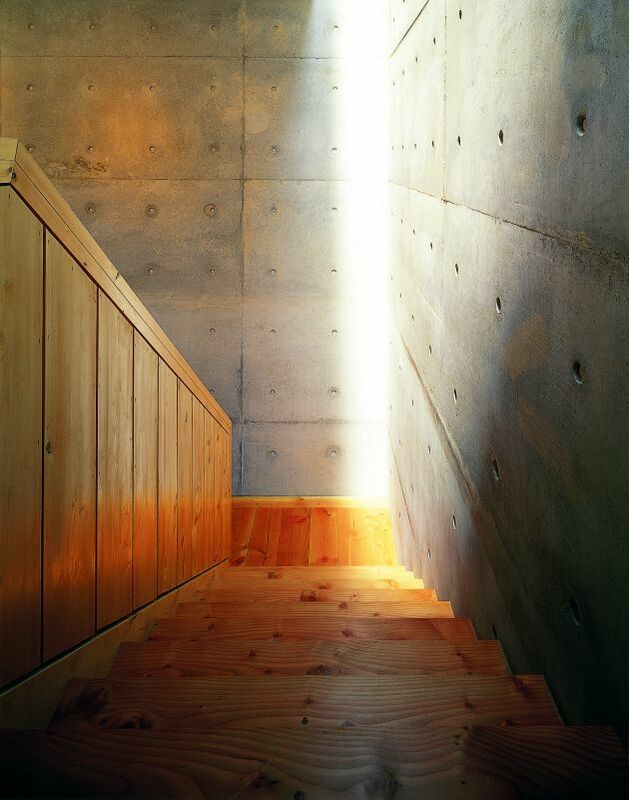 They interchange each other through this ‘passage’ and the inside/outside integrated each other. An abundant and artless spatial affair, provided by making inside space into outside space, outside space into inside space, also intermediate space where belongs to the middle sphere, is expected. The eight gardens, including the entrance garden that has various passage, courtyard, pavilion garden, underground garden? in front of the library, underground garden? 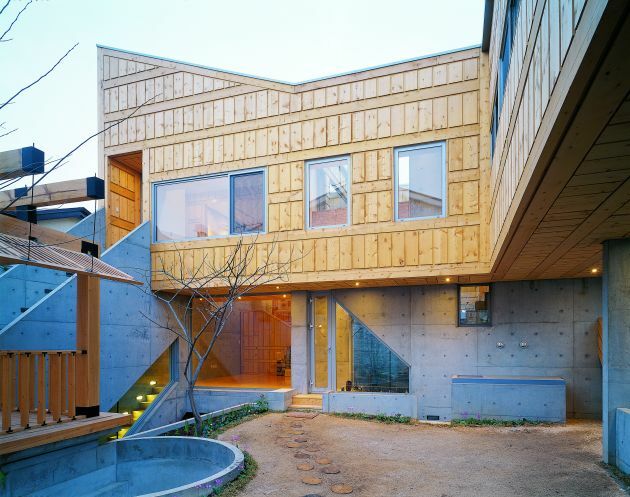 in front of the dining room, roof-hall garden?, roof-hall garden ?, service garden, connected and arranged having horizontal/vertical system by moving and changing in different level. They are tensed and interact with the natural connection. The long mass of piloti exists on the front of the road heavily. 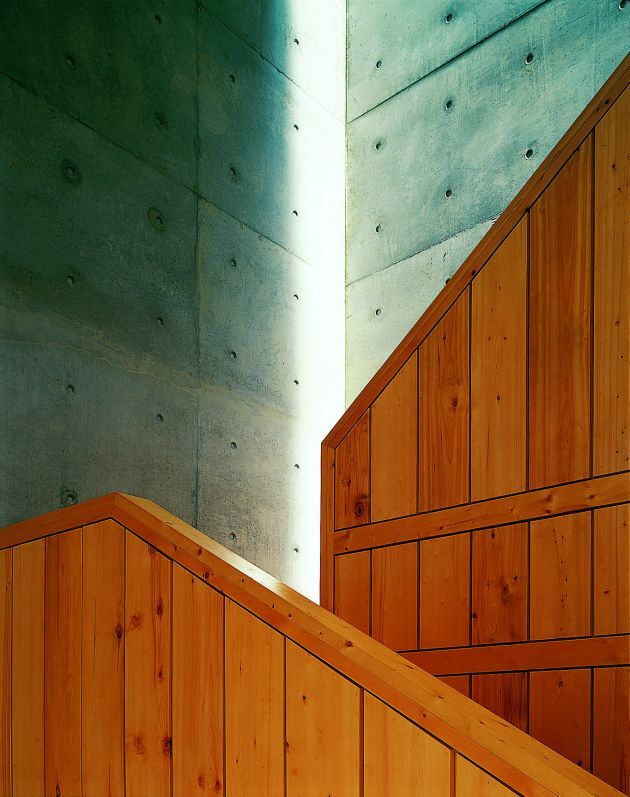 It is intensified to feel the ‘soaring’ image of traditional architecture as a sensibility. 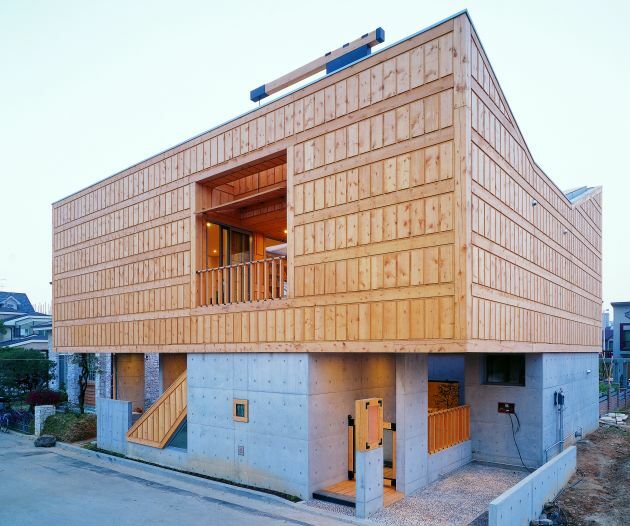 This floating request to separate the mass of first floor and second floor and the outer wall divided into timber and concrete. 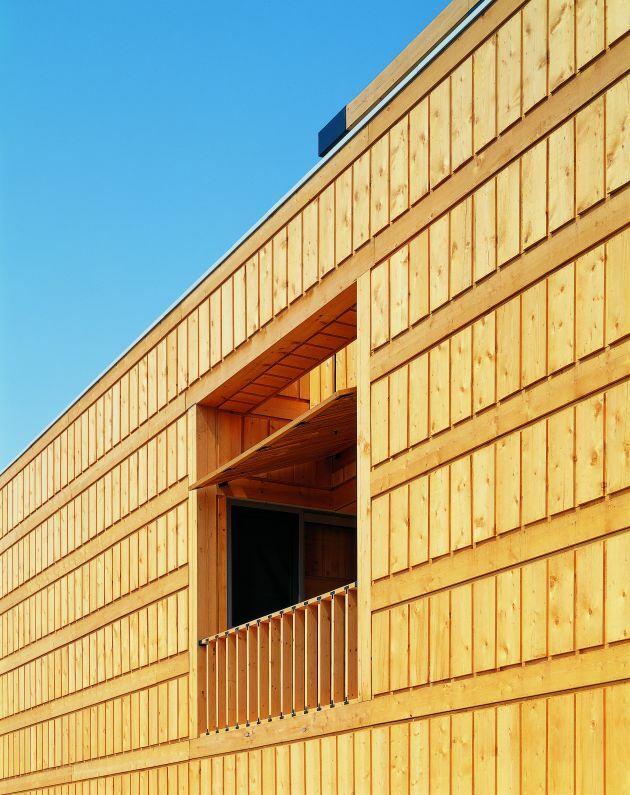 The wooden board, that could express the property of matter itself, is selected for the main material of outer wall. Because it is expected to keep a naturalness and a slowness with deep flavor as a life that is changeably correspondently lives according to the flow of time that has historical character. 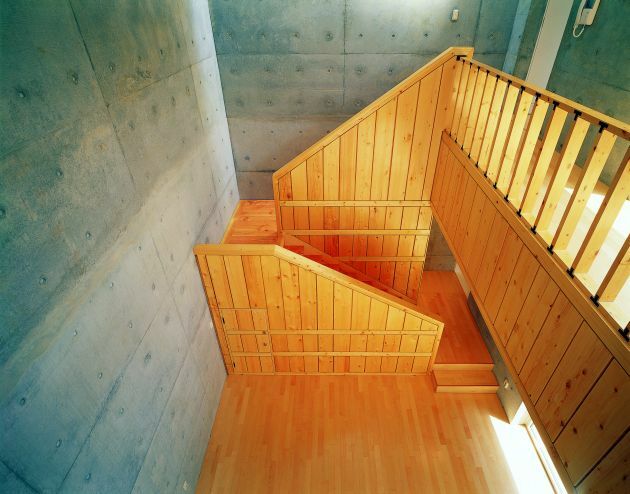 Moreover, it is a kind of repulsion against western wooden house. 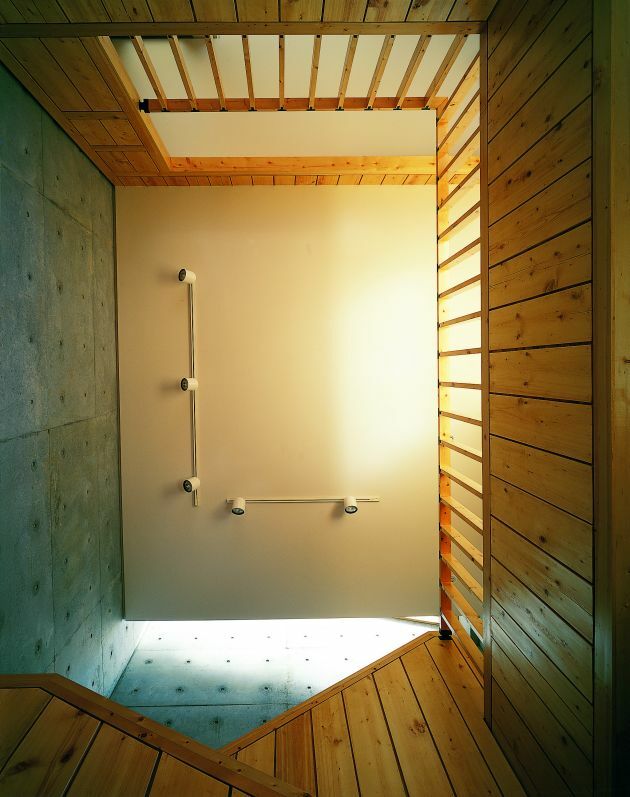 To bring the wooden board into modern woody, the exposed concrete, which is an artificial stone either an expression of time, is used as a basic material and intended the mutual harmony. 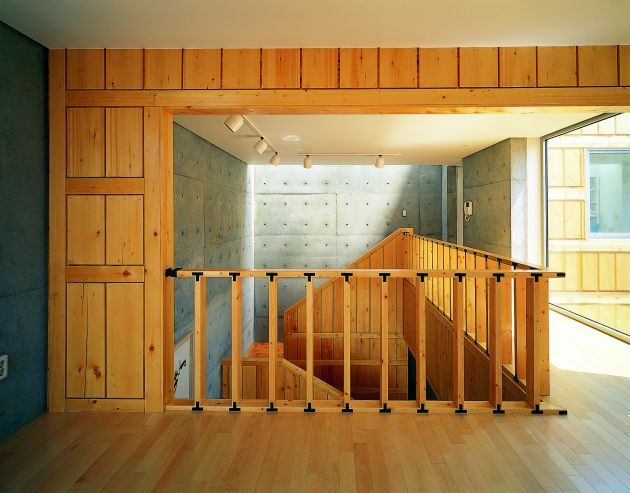 To reinforce the connection part of wood, ‘T’-shape steel panel is used with exposing and the well-floor-pattern is selected for the outer wall’s connection. 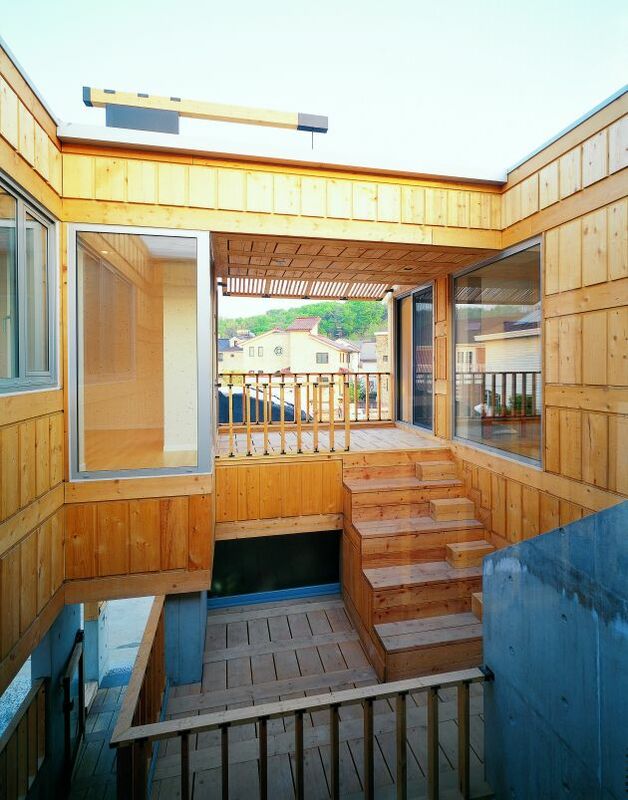 The Korean-style folding up door is inherited the show which is hung on the latch of rafter as a tool that integrates inside and outside space. The latch is applied as a fixing method of the blind for sunlight control on the roof hall garden and pavilion of Lim Geo Dang. 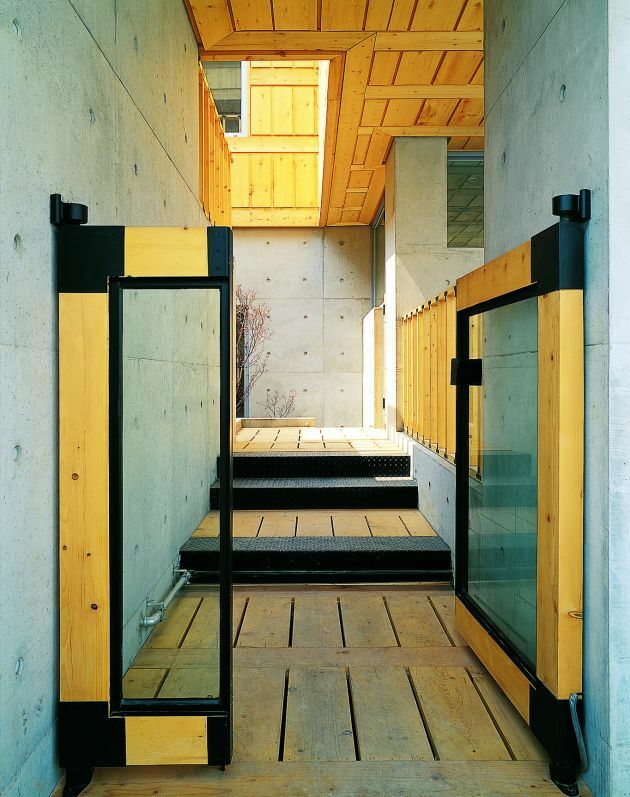 The hanging structure of connection steel board and genealogical door with well-floor-pattern is selected and applied with the intention to metaphorically remember the memory of tradition with the element that has present character. Tradition is a root of present age. What flower of tradition we should bloom in this age? 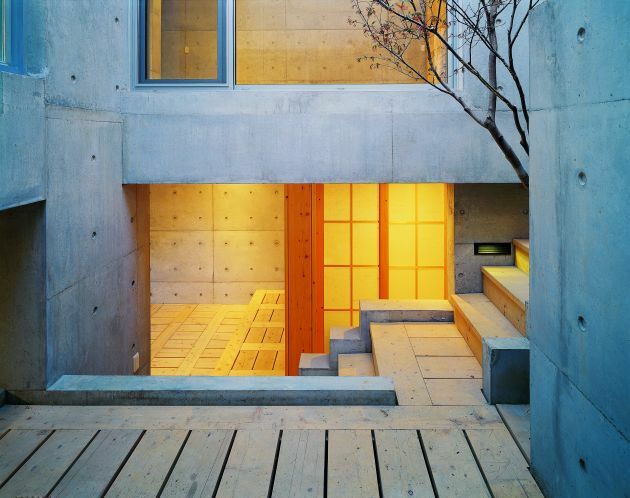 I think a house as architecture in modern society could maintain the life with the spatial diversity and change that contains periodical color which could plentiful human life. ‘The yearning for the flavor of our traditional culture’, which could grow the value when the western culture soak into our environment more and more, is regarded as an intentional motive of the house. It was a small approach to the unsolved question that what is the constitutional flavor of our life that the Korean traits, which could comprehend the modern Korean who live in Korea today, are soaked.